Your New Year’s resolutions failed last year. They also failed the year before that. Although New Year’s resolutions are popular every January, 80% of New Year’s resolutions fail, according to Business Insider. A new year can be a new start: when January arrives, it’s the perfect time to revamp pieces of your life. But you can’t improve anything if you’re doomed to screw up before February arrives. How can you make this year different? You need to be prepared to stick to your resolution. You need a new approach. The number one reason New Year’s resolutions fail is too many people try to cut out their bad habits completely on January 1. Everyone goes cold turkey, immediately eliminating things. It takes 66 days to make a new habit and 21 days to stop an old one, according to the European Journal of Social Psychology. Failing to ease into new behaviors results in frustration, and when we inevitably make a mistake we give up completely. Instead of going cold turkey, build new habits over time. Don’t wake up on January 1 and expect to stop eating all unhealthy food. Take it one day at a time–for example, focus on eliminating sweets for 2 days, then 4, then an entire week. The best way to keep yourself on track towards making big life changes? Hold yourself accountable. An even better method is to assign someone else to keep you honest. For most, New Year’s resolutions are nothing more than big, empty goals. We promise to make change, but we promise it to ourselves (and we aren’t good at following through for ourselves). But, if you get a friend to keep you accountable, you’ll have someone reminding you of your goals. Researchers at Dominican University of California found that more than 70% of people who write down their goals and send them to a friend achieve those goals. Only 35% of people who don’t do so succeed. The external pressure your friend exerts can help keep you on track. In order to accomplish any goal, you need to achieve milestones. No one decides to run a marathon and is immediately fit enough to do so; similarly, no one resolves to live a healthier life and accomplishes this in a month. 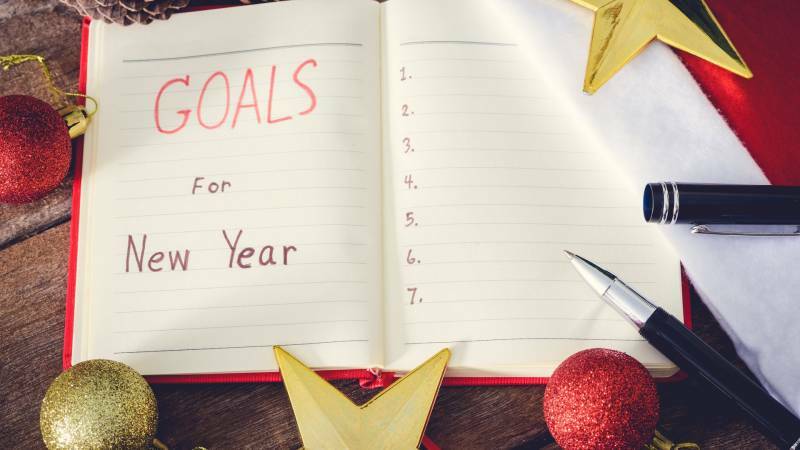 Set small, attainable goals within your larger New Year’s resolution. Are you resolving to lose weight? Specify how much and how: to lose a total of 25 pounds, you’ll cut out one unhealthy habit every month. Want to get in shape? Clarify what that means: set a goal for miles ran or workouts completed every week. Make your goal more specific, and you’re more likely to succeed. As enticing as it is to look at January as the month of fresh starts and new beginnings, accomplishing your New Year’s resolutions doesn’t happen overnight. Resolution failure is ahead if this is the perspective you adopt. In order to succeed, remember that your resolutions are goals for the entire year ahead. That means you have a full 12 months of work to put in. Take advantage of the new year and do your research before you set your resolutions in motion. If you’re planning on making big changes to get healthier, you should do some research. There’s a world other people also resolving to get healthy: Lifehack.org reports that 30% of all resolutions are to live healthier in some way. Search online, and take advantage of the advice, ideas, and support systems you might find.